I wished I had taken a picture of the zucchini that a friend at church gave to me out of her garden! The sucker was huge!! I got 3 dishes out of it!! I had briefly read a recipe for Zucchini Bake over at Six Sisters Stuff﻿ and thought it sounded good....it had cheese and anything with cheese sounds good to me! And so sharing my version of Zucchini Bake was an afterthought and I snapped a photo with my phone before putting the leftovers up!! And of course my Lil' Hunkie, the picky eater wanted non of it! At least I thoroughly enjoyed it!! And finally this evening I made my first ever zucchini bread! I know! I know! Where have I been right? I simply used my Better Homes and Gardens Cookbook recipe and added raisins. Unfortunately my pan that I used should have been bigger because the middle didn't want to bake through so I had to bake it about 20 minutes extra which made it a little dry, still tasted good, but dry. 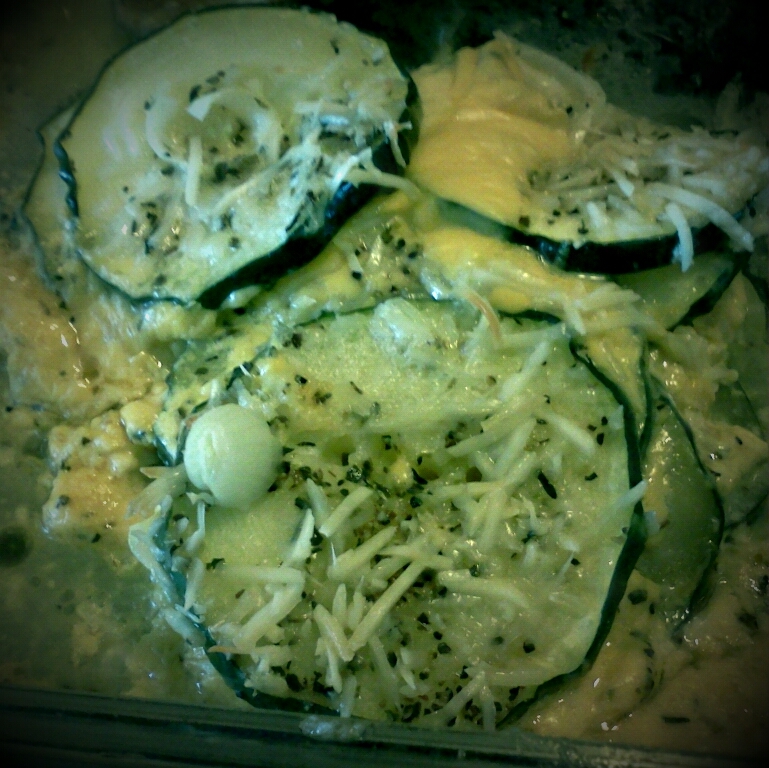 So excited that I got all of that out of one zucchini!!! I'd love to hear whatcha been doin' with yours? See my Link Parties Page for where I might be linking up at! !